Managed to get out and about during a lull between the pretty horrendous winter weather we’ve had in the UK, particularly up my end in north Manchester and timed a photo-walk to perfection so I just had a little snowfall to contend with. Anyway, got some pictures of the “out & about”, so hope you enjoy them. Spotted a patch of Ivy whilst walking around, so took a picture of its emerald-green contrast within the brown of some dead grasses. 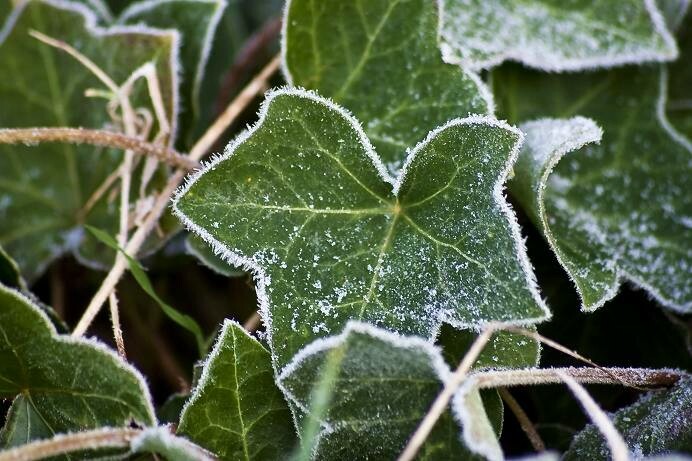 However, once zoomed in, I noticed that each individual leaf had an “Ice Halo” around its edge. 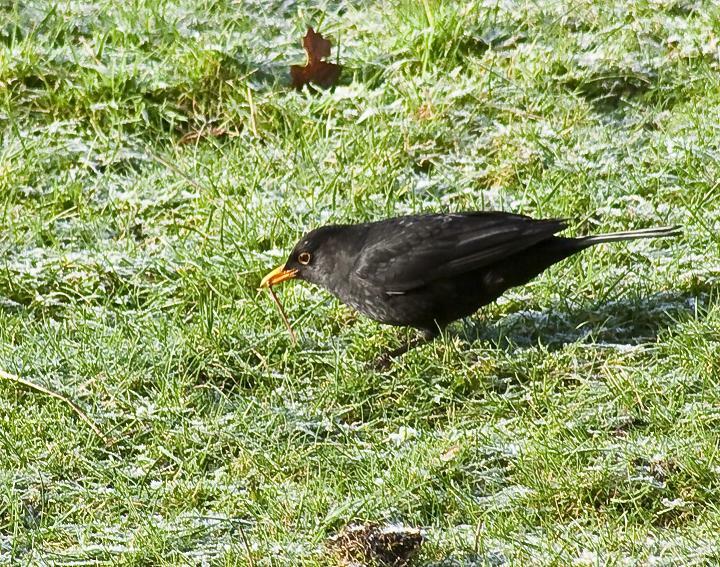 This Blackbird was undertaking a Tug-of-War battle with an Earthworm who had every intention to stay firmly in the frozen ground. 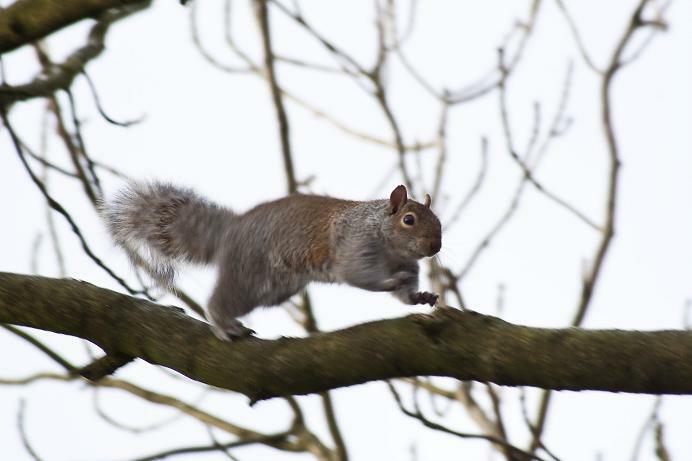 By luck, just managed to get off a quick shot of this Grey Squirrel running along a branch, who probably was trying to get away from the fool waving a camera in its face! 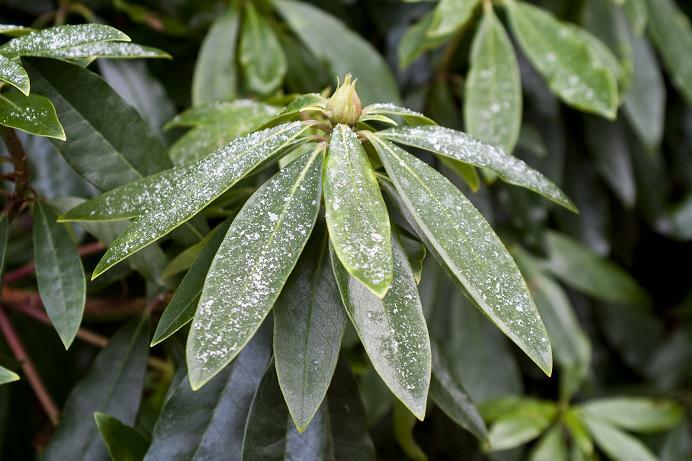 A young Rhododendron shoot covered with the lightest of early morning frosting, giving the leaves an appearance of having just been sprinkled with icing sugar. 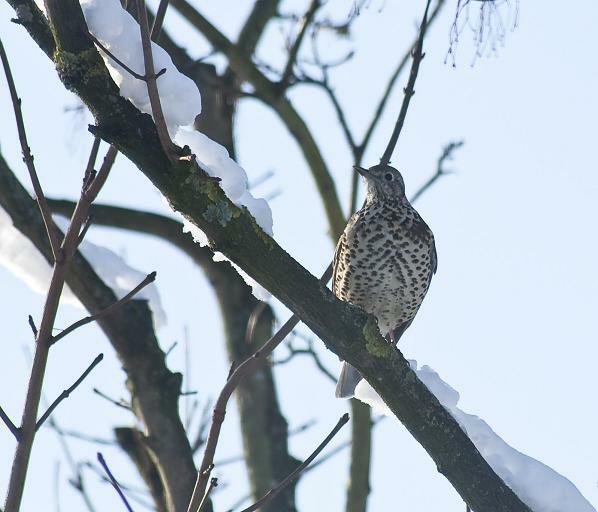 Standing proud and alert, this Mistle Thrush’s dappled chest was a beautiful contrast against the hard fingers of snow which still cling to the branches all around its perch. 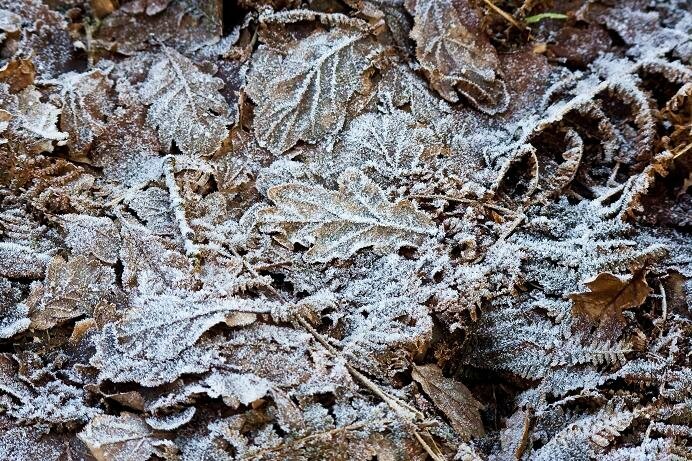 As I moved past some bare-boned Oak trees, the crunch of their fallen autumn leaf-litter sounded from each step my boots took upon the crisp ground frost. 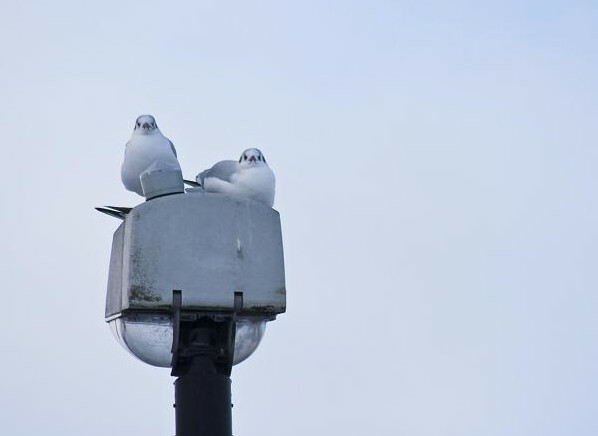 Huddled together upon the top of a street lamp, these two Gulls stare intently into the camera, probably hoping the clown holding it has some form of food for them! 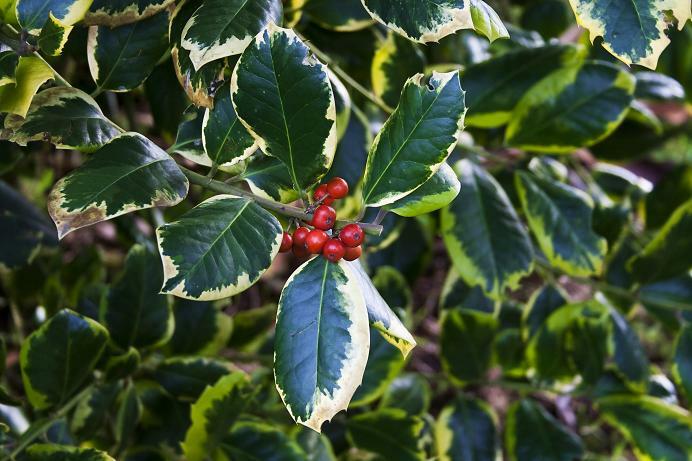 Of course, this little excursion was over the Christmas/New Year period and so here are a couple of archetypal Christmas images, starting with a shot of a Holly bush and berries. 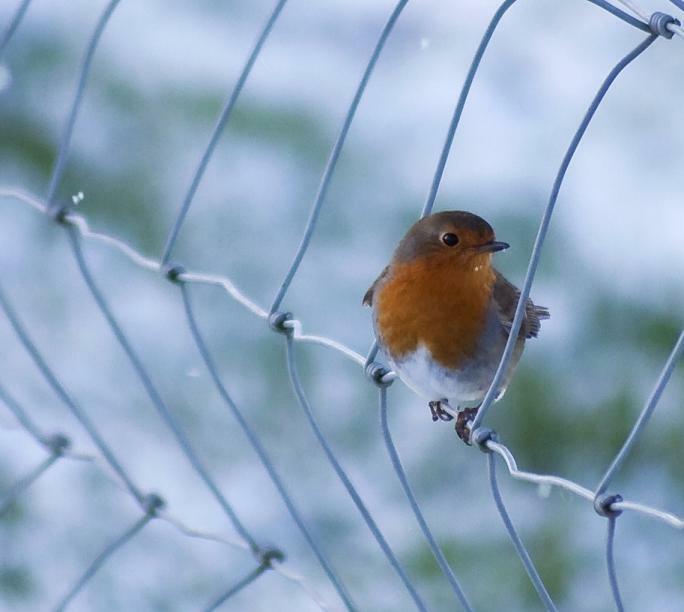 The other classic yuletide image is the humble Robin and this one was looking decidedly cold as the latest snowfall began to buffet its red-breast. 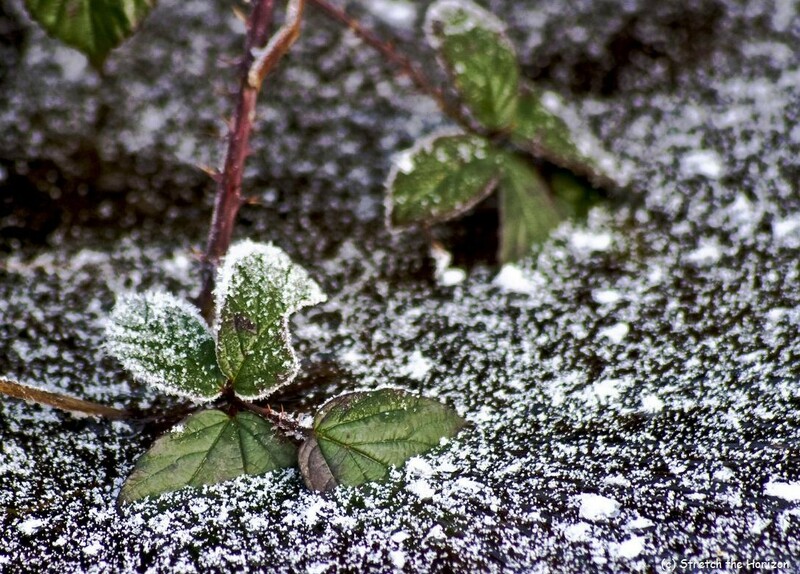 Well, that’s it for now but I’m sure there will be more updates of “The Big Freeze” to come so keep checking back.